Custom looking typography is readily available for quick purchase – photography as well, but how “original” is that? Even if you do purchase a typeface to do-it-yourself, it’s not so easy to compile digital letterforms with a flawless appearance. The usage of multiple fonts can be an even larger clustered-collision without a designer’s expert touch. 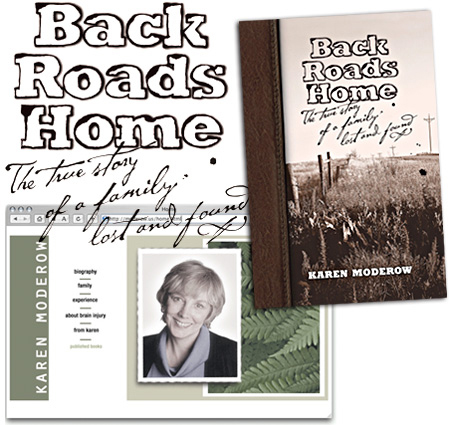 Karen Moderow’s “Back Roads Home” book cover & website design. Ncutt was hired to assure her public impression aligned with the professionalism of her writing. creative value: Dare to be different — if others talk, they're fans!